They say a haircut is as good as a holiday. And if we know one thing to be true, it’s that having your locks in good hands is kind of a big deal. A little bit of snip snip never hurt nobody. In fact, studies show a haircut can boost happiness levels by 93%. Ok so we made that up, but if you’ve ever had a great haircut, you kinda believed it. 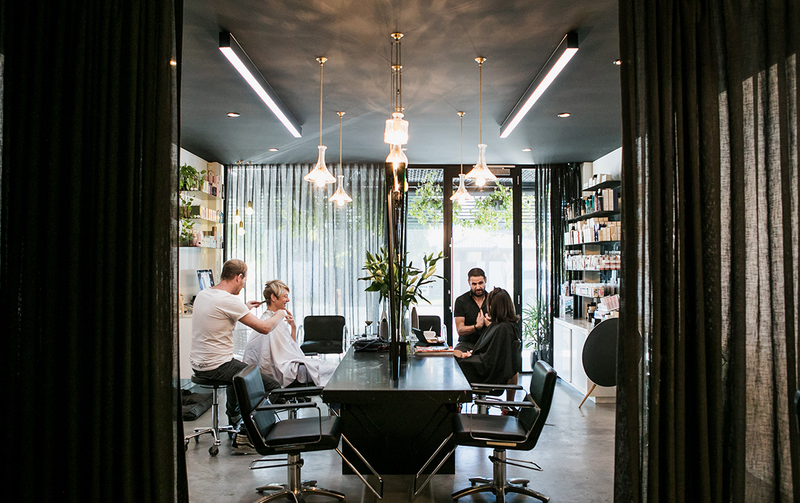 Here’s our pick of 13 Gold Coast hairdressers you really should know about. Va-va-voom your look and your hair snipping experience at Gilston Four. One stellar team, plus a session inside their moody salon will leave you feeling like a 10. With moody lighting, dark colours and only four chairs, you’ll always be the team’s number one priority in this swanky salon. So cozy up and enjoy a truly indulgent experience—bubbles and cake of the day is also includes. This family owned business has called the Gold Coast home for 10 years and they’re not going anywhere. Indulge in a relaxing head and neck massage, cheers bubbly and giggle with their expert team. Edgy looks or head turning colours, the ladies at CMH have all bases covered. The most inconvenient part about getting your hair done is waiting for those pesky foils to dry. But you won’t have that problem at Maverick Hair Space. In fact, you’ll be a bit bummed once the drying process is complete. Why? Because these guys aren’t just any Gold Coast hairdressing salon, they also house an art gallery. Showcasing emerging contemporary artists, wander your way around Maverick’s art-filled walls. And if you’re living that student life, drop by on a Tuesday for an impressive 20% discount. Everyone knows they can tell their hairdresser secrets. So, get ready to unlock the vault. New kids on the block, Colour Box Hair Studio throw in complementary treatments for every wash, cut, blowdry and style. If that doesn’t say how lovely they are, we don’t know what does! Sure, you could get a fringe trim or a short back and sides. But why not take your look one step further with a complete makeover? Whether you’re dolling up for a big event, hitting the town or fashioning a date night, Edwards & Co are your team. Fresh, airy interiors, a to-die-for pastel product collection and a real knack for natural looking beachy locks means your next trip to Surfers may leave you looking like one. We’ve said it once, and we’ll say it again. We love Cornerstones. And here’s another reason to get on board. If your inner greenie keeps suggesting you look for a more earth-conscious hair experience, Zanzi is your go-to. A proud sustainable salon, Zanzi has got to be one of the most eco-friendly hairdressers on the Coast. Lathering your mane in non-toxic products, these guys use green chemistry to take your look next level. Want to know why you can’t get Minogue out of your head? It’s because they’re one of the schmickest hairdressing salons on the Gold Coast! Pop in for a creative re-do of your updo or a complete transformation. And even better? They’ve now got two locations to choose from, on both ends of the Coast, so you're covered not matter your postcode. If you’ve just stepped out of the ocean, no problem. Cross the Gold Coast Highway and pop into Rinsd. This coastal luxe salon even has a poochy pal to make friends with! Headed up by Liana, snap a couple of Insta pics on their cute swing lounges, rock a new chop and revive your colour all in a relaxed and friendly Palmy salon. Housed in an adorable white weatherboard home in Miami, we love this joint. Scattered with rustic pots spilling with greenery out front and sundeck chairs on the porch, follow their pebble-lined path right inside. 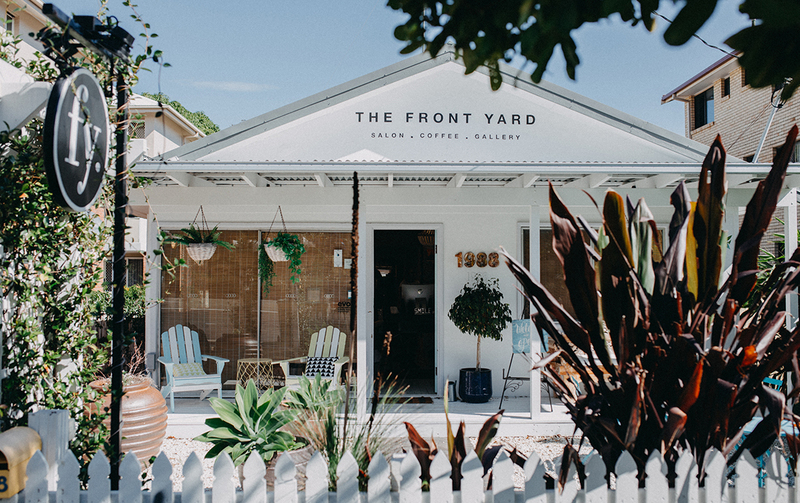 But The Front Yard isn't just a salon, no, it's a coffee shop, art gallery and nail salon—talk about a one stop shop! Fellas, you’re not missing out either with the Zeppelin Barbers mancave onsite too. Located above our fave The Milkman’s Daughter, this is one Gold Coast hair salon that has all your glamazon needs in one place. Sure they do hair snips and styling. But you’ll also enjoy deeply nourishing conditioning treatments, brow tints and more. When you’re done at The Loft, you can float downstairs and pop into Poke Poke for a bowl and beer. If your hair basically has bags under its eyes, it’s time you booked in with Salon Citrine. Specialising in blondes and balayage, extensions and styling, the team at Salon Citrine have a real knack for trendy do’s. You’ll want to hit the town post appointment so you can flaunt your mane for all to see. We’re not sure what we love more? The magic the team at HACQ work on our locks or their new beachside digs. 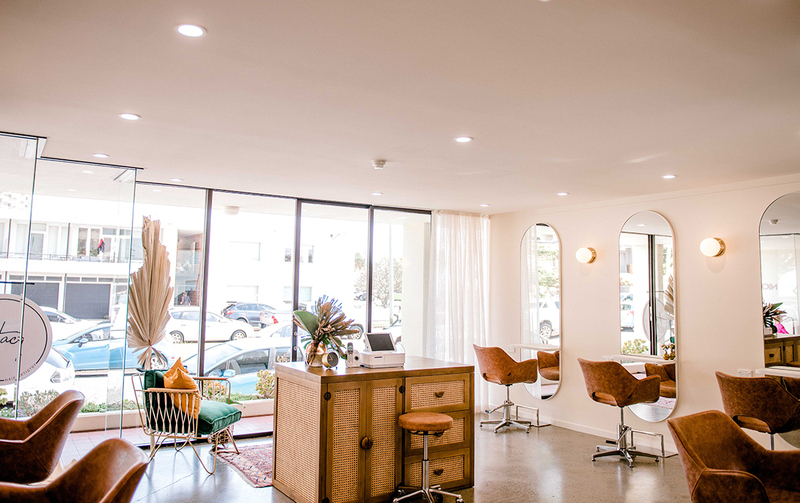 After transforming the tresses of gals and guys on the Gold Coast for over 13 years, Marissa and her team have waved goodbye to their Burleigh Heads home and have relaunched in gorgeous Currumbin. And trust us, it’s the perfect little sanctuary for you to get pampered. Do you have a smashing event coming up? Then you’ll want to make a visit to multi-award winning Trendz Hair Studio. 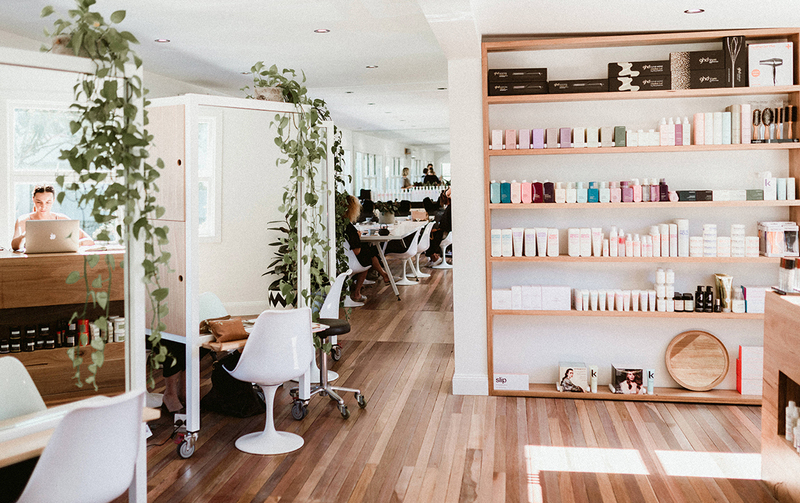 Between doing up your fancy pants, sipping champas on your yacht and taking your tiny pooch for a stroll, give your locks a whole new life while you’re in one of the fanciest spots on the Coast. Not done pampering yourself? Check out our favourite brow bars and spray tan salons.